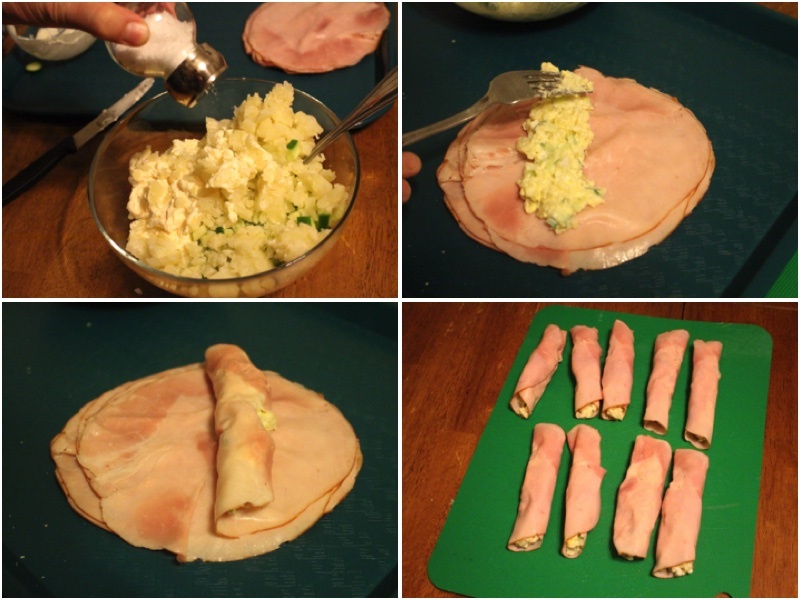 Ham Roulettes are very good or a quick meal in the morning. It is also very enjoyable and goes along great with bread. 1.) Wash, dry and dice your cucumbers, eggs and potatoes. Now place them all into a small bowl, add mayo. 2.) Add you’re seasoning. 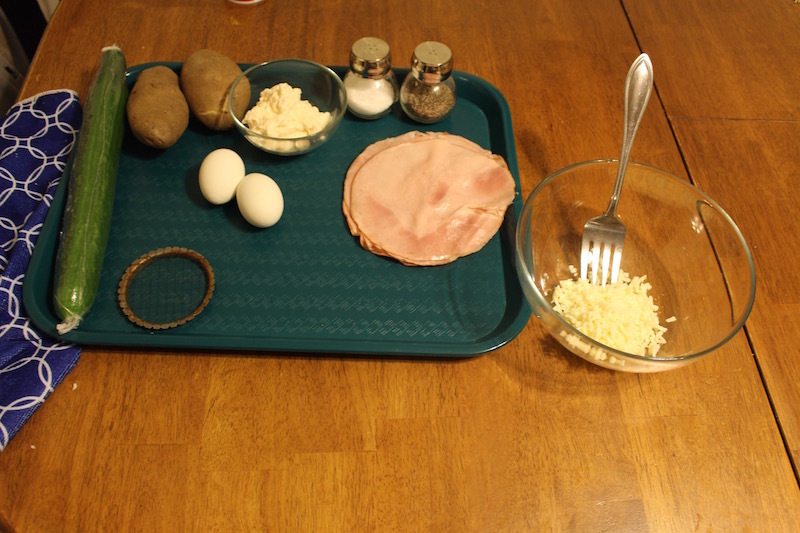 Next place your Mayo mixture on each pieces of ham and spread it out. 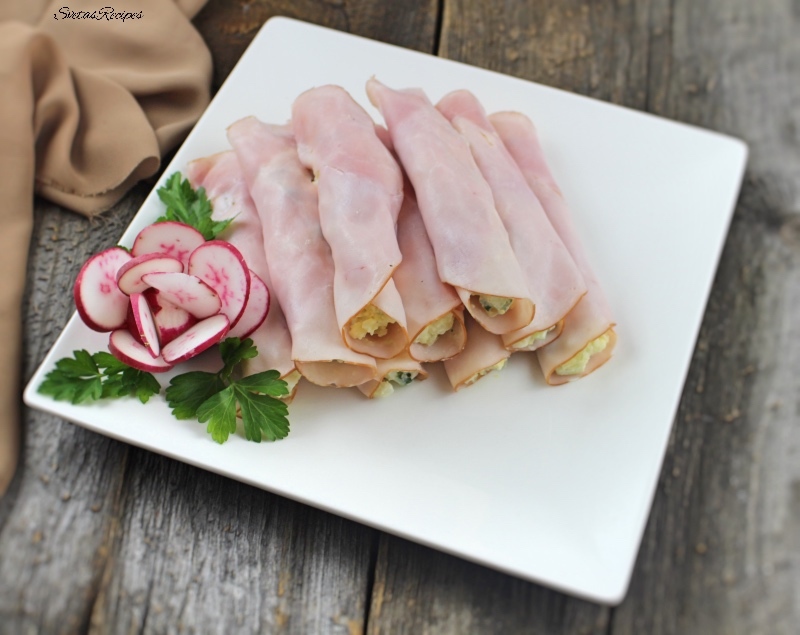 After roll it up into a roulette, place on a serving dish and enjoy. Wash, dry and dice your cucumbers, eggs and potatoes. Now place them all into a small bowl, add mayo. Add you’re seasoning. 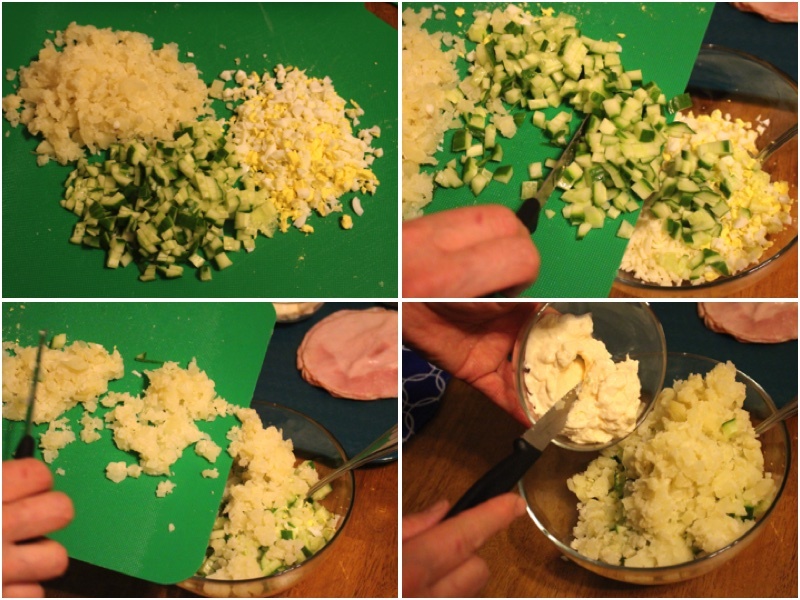 Next place your Mayo mixture on each pieces of ham and spread it out. After roll it up into a roulette, place on a serving dish and enjoy. Sveta, I am so glad I stumbled upon your website:) your recipes are very delicious looking and unique… I will be trying them one by one!!! I wish I would know how to decorate plates like you do, you are very creative? Thank you, I will soon be releasing videos on how to decorate and dish. You will be able to see them at your youtube channel SvetasRecipes.